The Golden Gate Bridge was completed in 1937 and at that time had the longest suspension bridge main span in the world, at 4,200 feet (1,280.2 m). The colour of the bridge is an orange vermillion called international orange. 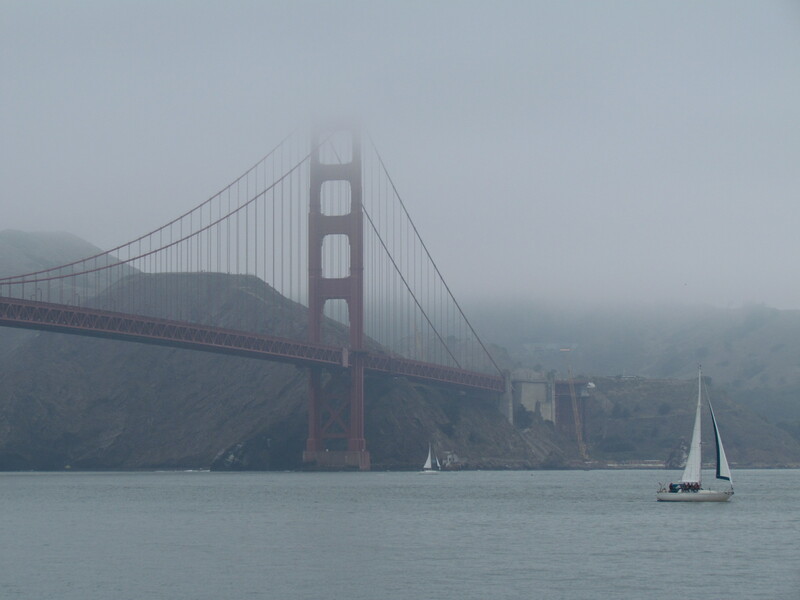 The colour was selected because it complements the natural surroundings and enhances the bridge's visibility in fog.